Brandon and Flame have started 4-H dog club learning obedience,conformation and agility!He has also been working Sara in 4h and both dogs in AKC juniors! April 3rd Brandon and Flame have their first AKC novice junior competition and take a 3rd place out of 7 kids and dogs! Zolfo Springs Dog Club Brandon and Sara win a 3rd and a 2nd!Greater Naples Dog Club Saturday in heavy competition Brandon and Sara get 2nd!Sunday they get 1st!!! 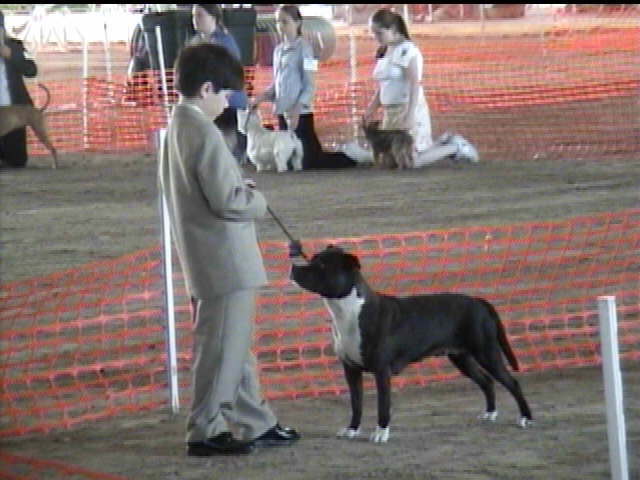 May '05 4H Invatational.Brandon does well with Sara in showmanship and agility and flame in obedience. Lakeland Florida June '05 Brandon and Flame get their second 1st from novice class!Just 1 more to move up to open! 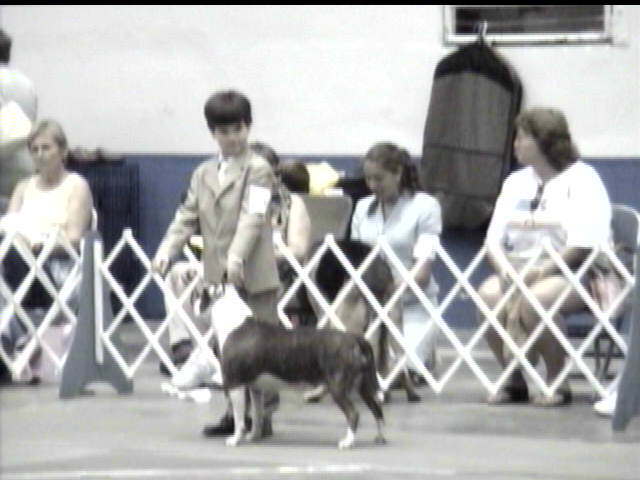 Orlando June '05.Brandon and Flame finish their third 1st place in the novice class and will now be competing in open.